It's never fun to see the chasm between what I think I've taught and what students have actually learned. But when this chasm becomes apparent, I have to dig a little more deeply to find out exactly where things have gone wrong...and find a way to fix it. Take this past week. As we were getting back into working on text structure (after a break for state testing), one of my students wrote, "I have injoyed learning about text structures like peregrin falcons and red tail hawks." If this student was confusing the text structures with the topics that we have been reading about, other students were probably doing so too. On reflection, I could see where she got this idea. This year I have really worked to put together a coherent text set of related texts. For a struggling reader, it makes sense that the concrete, real topic (peregrine falcons) would replace the abstract idea (text structure). Add to this the fact that my text structure bulletin board has been concealed for the last three weeks for testing purposes, and I could see why she would write this. And I was glad that she did--after all, I need to know when things aren't working well! Our first order of business at the next class was to find examples of different text structures in our reading folders. We worked on this one text structure at a time, for about 10 minutes in each class. In my co-teaching class, students have worked with various adults and read various texts. We found all of the chronological order texts and stapled them together. The next day we found all of the cause and effect texts, and then the problem and solution texts. This was actually very helpful, as students shared their different texts with each other and talked about why each one fit a particular text structure. Of course the process was a little painful ("Is this one? What about this? Is this one?") but it was a good way for students to move into the abstract thinking for text structure. The next thing I needed to make clear to students was that text structure can be useful. I made this poster quickly and then worked through it with the first guided reading group. We talked about the word browse and what it means. Then I handed out copies of Salamander Crossing--a text with a familiar topic for students--that had the text structure cue words problem and solution highlighted. Well, the kids thought this was very amusing, and they quickly figured out that the text structure was problem and solution. (Whew!) Then we talked about how the text structure could help students to understand the topic. What might the problem be? What about the solution? 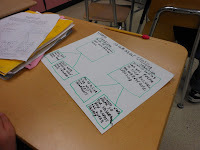 I love neat and tidy graphic organizers...but kids definitely need to learn how to make their own. I showed students examples of different graphic organizers to see if they could pick out which one to use. "That one! That one!" they said excitedly, when I showed the simple boxes for problem and solution. Double whew! I had kids scatter throughout the room to work alone on reading the text and making a graphic organizer. Then they added some pictures to their graphic organizers to show the problem and solution with pictures. I wrapped it up by having students share their pictures on the document camera as we talked about which ones related to the problems (one showed a sad, flat salamander and a driver saying, "Oh no!") and which ones related to the solution (a very cute little person holding a flashlight). 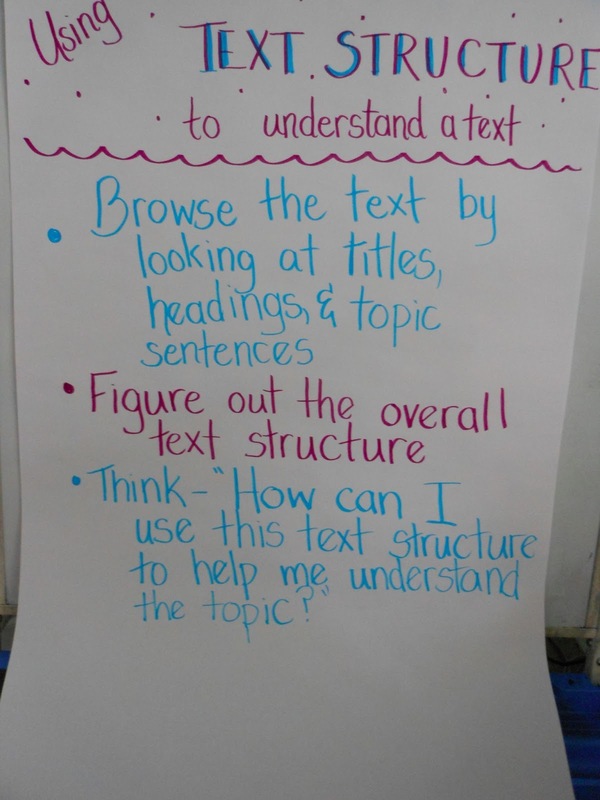 Looking back, it was good that I found out that students were having trouble with text structure. It never hurts to make the abstract concepts we are teaching as explicit as possible. If you're curious about mole salamanders, here is a lovely video. Some night I may go out and try to see them for myself...unfortunately, March and April evenings are always too chilly for me to brave it! During state testing, I decided to teach some quick and easy grammar. I wanted to design a few fun lessons that would be engaging for kids and wouldn't tax their brains too much or require extended writing. In our last writing project (which I really will talk about in more depth soon--the kids loved it! ), I noticed that kids were having difficulty with subject-verb agreement. One consistent error that cut across ability levels was a problem with there is and there are constructions. To make a fun lesson, I decided to start by having kids draw pictures. I gave them some directions for what to include in their picture. At the end of the day, I collected their pictures. On the second day, I started with a quick mini-lesson on using "there is" and "there are". I used a snapshot that I had taken of students as they worked on a science project. Then, I redistributed the drawings to different students. These students then wrote sentences about their classmates' pictures using "There is" and "there are". We had lively conversations ("What are these flying things in your picture?") and lots of friendly interaction. As students worked, I quickly circulated and found the kids who were still having trouble. I worked with them individually and helped them to straighten out their sentences. The best part about the lesson is that students had an authentic, natural reason to write sentences using the target words. Instead of a boring exercise, they got to see their classmates' work and comment upon it. The whole thing ended up with a gallery walk to share our creations! So--nothing amazingly new or exciting, but a quick little two-day lesson that fit perfectly into a longer look at subject-verb agreement! Even better, kids seemed to hold onto their understanding of the use of these constructions and did pretty well on the short assessment I gave them a few days later. Time to start planning for summer! Even though the trout lilies are just blooming and it's quite cold here in Pennsylvania, it's time to think about what we'll do in the summer to refresh and learn more. This was so much fun--we looked at some of the newer ideas emerging in reading and how to integrate them into the classroom. I loved talking and sharing information about multiple literacies and multimedia texts. This year, I'm putting together a morning workshop looking at grammar and the Common Core. How should our grammar expectations change? How can we make teaching grammar a meaningful part of the language arts classroom? We'll look at how we can help kids to develop a deeper appreciation for the rules of the language...and the confidence to experiment and try things out. In the afternoon, we'll explore text complexity and the Common Core. (For more on this topic, check out my blog post over on the KSRA Conference blog.) I'm planning to get together a huge assortment of books for participants to browse and enjoy. We'll look at several text complexity rating tools and talk about how we can add more text complexity to our classrooms. If you are an Adams or York County teacher, you can register through the LIU 12 site. -The first peregrine falcon baby hatched today! I don't know how much teaching I'll get done on Monday--the kids are sure to be excited. I can't wait to share our last peregrine falcon text, which compares peregrine falcons to red-tailed hawks. 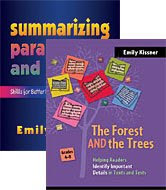 -I've been adding lots of new books to my Text Structure Pinterest board. -On Monday (after we look at the peregrine falcon chicks, of course!) I'll be trying out some text structure literature circles. You can read about my experiences with previous literature circles here. You can download my literature circle materials for narratives from Slideshare here. Worms, Pond Water, and More! 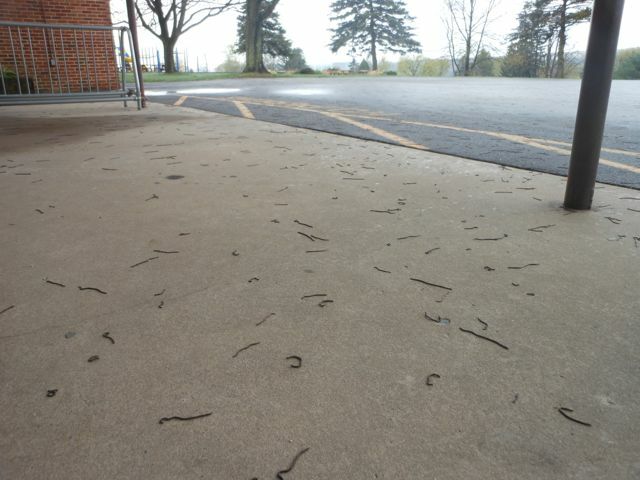 So this morning we had a worm invasion at my school. I stepped out of the car, thinking that last night's rain had brought leaves or seed pods down from the trees. But no--they were worms! Not only did we have great invertebrate observation opportunities outside, but we also had some pond water to look at inside. 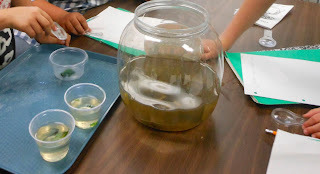 At this time of year, I also like to have some pond water in the classroom for students to observe. Students often bring in some tadpoles for us to see as well. Setting up the observations is pretty easy. I use foil pie plates and clear plastic cups to make sure that everyone has a close-up view of something. Some plastic pipettes are also useful for catching tiny creatures like ostracods, copepods, and damselfly larva. This year's pond water seems to have many ostracods, or seed shrimp. Here is a little video that shows you more about these creatures. They are so common and probably living in a pond near you right now! -Parts of Speech Readers Theater is up and ready to go! -I am working through some of the peregrine falcon texts from Text Structure Introduction in my reading class and the red-tailed hawk text from Intervention 1. Today I discovered that there is a red-tailed hawk cam! What an authentic way to quickly compare and contrast the nests and the looks of the birds. -I'm starting text structure literature circles with one group...I'm sure that I'll have a lot to write about once we get going. Check out the KSRA Conference blog! Each week we'll feature a different keynote speaker with links, ideas, and resources. KSRA is the Keystone State Reading Association. This year's conference will focus on exploring digital literacy through the lens of traditional reading research. You can follow the KSRA Pinterest board here. Pennsylvania teachers: I'd like to add blogs from Pennsylvania teachers to the conference blog roll. 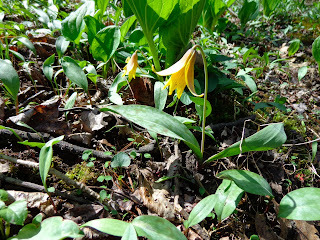 Please comment if you would like to share your blog. Here is a great way to get kids reading and commenting on each other's writing. This technique helps me to get a sense of what my students value in writing and what kinds of conversations we should have. Best of all, it takes no advance preparation. I've tried this activity with other forms of writing, but I've learned that it works best when students are writing about a shared experience. This helps the readers to focus less on trying to figure out what happened, and more on thinking about the way the content is presented. 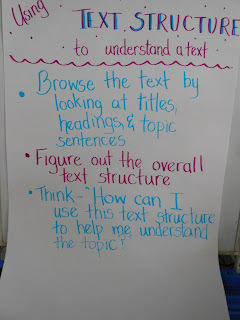 Students will read another student's writing and add questions or comments. Encourage students to avoid just commenting on spelling, punctuation, or handwriting and look at the content of the writing. Remind students to write their names next to their comments. I keep the explanation brief. Because I generally do this later in the year, I don't go into a long explanation about what kinds of comments to offer; I want to see what they do on their own. The good silence, not the bad kind. Kids will be instantly immersed in reading what their peers have written, and will write comments back. I like to join in and and add my own comments. As students finish reading one piece, they should get up and mill around until another seat is available. It sounds messy, but in practice it works beautifully. Do walk around and keep an eye on what students are writing. If I notice a student making the same comment over and over again, I'll sit down with her and we'll whisper about the writing so that she can come up with something new. The activity usually works well for about 10 minutes before fatigue sets in. Then have students return to their own seats to read their comments. That's all there is to it. But the conversations at the end are rich and interesting. Students love to read comments about their own writing. Some of the comments puzzle them, and they want to ask the other students for clarification. This kind of student-to-student writing exchange is just what I want to foster in the classroom--conversations about writing that are focused on writer to reader. Students get to experience both roles in rapid succession with this activity, which is empowering and motivating for them. A close look at the comments helps me as the teacher to see what students value in writing--and, by transfer, what they think I value in writing. When students comment only on spelling and handwriting, I know that I need to think about the conversations that we are having in class and help them to think about other aspects of writing. On Friday, multiple students commented on the use of transitions in writing. This was encouraging to me as I have been trying to get students to recognize and use transitions all year long. I've been working on readers theater scripts for parts of speech. They are ready for trying out in classrooms. Write to me if you'd like some (elkissn@yahoo.com) and let me know what your kids think. Funny? Not funny? I'd like to know. We are finished with our short study of poetry, and are now looking at a week of preparing for state testing. What did I learn? Well, quite a bit. As you read my general statements, keep in mind that this is all anecdotal, and based on just my experiences in my classroom. Figurative language skill does not seem to match up with overall reading comprehension. This was fascinating. I separated out the questions that measured figurative language from the questions that tapped general comprehension. Some kids did well on both. Others did poorly on one measure but not on the other. Some students who are highly skilled readers overall had trouble with the figurative language questions, while others who are lagging 1-2 grades below grade level were able to answer the figurative language questions with ease. So what is going on here? Where does skill in interpreting and recognizing figurative language come from? How does it correlate with other reading skills? These are important questions to think about. Kids can improve quickly with recognizing and interpreting figurative language. If you have read scientific studies of teaching reading, you have probably noticed how hard it is to improve overall reading comprehension. Short interventions just can't seem to nudge overall reading comprehension skills far enough to make an impact on standard measures of reading comprehension. But the curve for recognizing and interpreting figurative language can go up pretty steeply. I found this very encouraging news for a three-week unit! Some students who did poorly on the first assessment could answer every figurative language question correctly by the final assessment. This also shows the power of multiple assessments, even in a short period of time. Because we did go over each assessment, students were able to find their mistakes or misinterpretations and make corrections for the next time. If we had done only one assessment, students would not have had this chance. The use of scaffolds such as charts and response frames is beneficial. I used charts for comparing texts and response frames for writing open-ended responses. Students used these to write some nice responses. Because I have a document camera this year (awesome! ), I made a big deal out of punctuating poem titles correctly when I modeled writing responses. About half of the students did this independently on the first assessment. For fourth grade, this is pretty impressive. On the first assessment, I also projected the response frame for one group of readers. This was a middle level of scaffolding. They weren't just filling in the blanks, but they could look up at the response frame to see how to structure their response. By the last assessment, I took away this scaffold, and students were still able to use some of the structure of a formal written response. Decoding problems can be disastrous. Of course I know this already. In a short poem, every word matters. Some kids who can plod through a longer piece and get the right answers because of their strong background knowledge really struggled with poems. On one of the assessments, the word "miniature" caused a problem for one of my readers, and he didn't answer any of the questions correctly. But maybe this wasn't such an awful thing. At the outset, some of the students equated "short" with "easy", and didn't engage with the text in a meaningful way. Quick feedback helped them to see that short does not equal easy, and that they needed to exert some more effort. -If you have to teach urban, rural, and suburban in social studies, Google Maps is a great resources...we've been looking up places across the country and categorizing them. Vacation sites, where an aunt lives, where someone is moving--they all make great searches. The only problem is it gets too interesting and then no one wants to move on to other things! -Don't forget to check out the peregrine falcon cam, especially if you have read the texts in Introduction to Text Structure. -It's been too cold and rainy to look for tadpole eggs this weekend, but I'm hoping to get some soon! If you have never raised tadpoles in your classroom, you really should give it a try. It's magical.